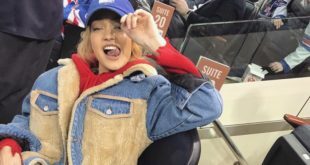 Check out these 15 awesome alteration ideas for hoodies, sweatshirts, and fall time outwear of all kinds! We guarantee you’ll be torn over which ones to try first, just like we are. 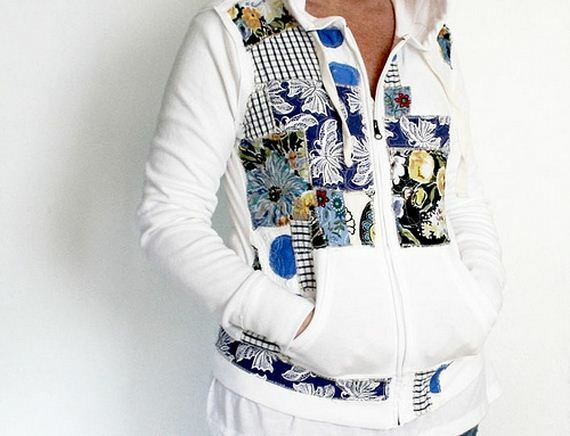 Do you have a plain coloured hoodie that you like the fit of, but that you wish had a little bit more life in it? We feel this way about so many of our solidly coloured clothing pieces. The easiest way to give them some pattern and pizazz, according to Alisa Burke, is to cover parts of them with fun fabric like an applique! Leave some of the original solid effect for make a colour blocked aesthetic. This project is easier than it looks to do! 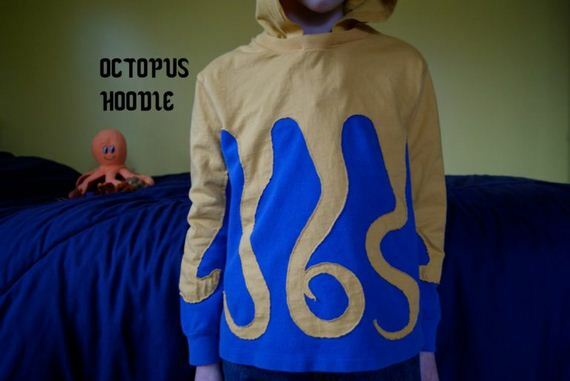 Okay, so maybe you wouldn’t wear an octopus themed hoodie yourself (or maybe you would; we’re certainly thinking about it), but this one’s definitely a fun project to make for your kids! Nest Full of Eggs guides you through the process of transforming a plain old hoodie into something magical that’s part practical clothing and part costume. Grade school aged kids will get a total kick out of this design. 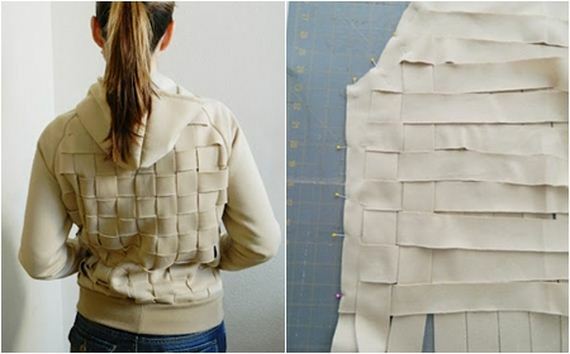 Perhaps your idea of successfully altering a sweater is adding a little bit of attitude to it? Studs are our favourite way to do that! 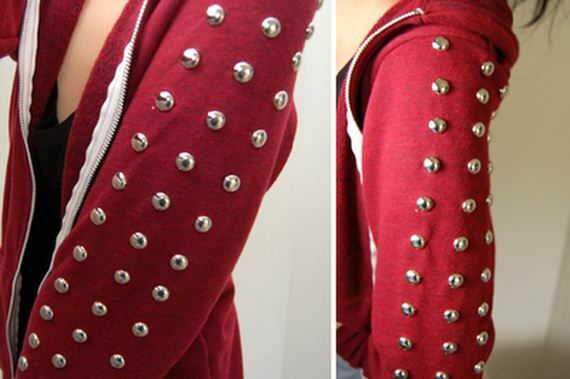 Studding something doesn’t always have to mean spikes or pyramids, though. We love this softer studded look from Wild Amor that uses smooth circular studs, which are clamped through the material in just the same way! 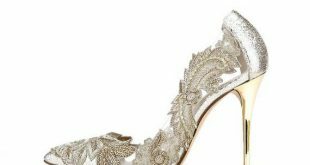 This design is the perfect customization idea for people who love nothing more than girly, lacy frills. The answer? Well, a giant frill, of course! Sewing it around the edge of your hood might seem like a lot of girly style in one place for some, but if you ask us, it’s the perfect way to frame your face in a sweet, unique way. 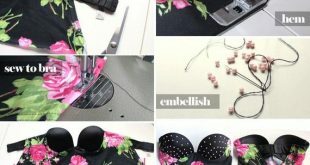 Check out how to make your own version on See Kate Sew. 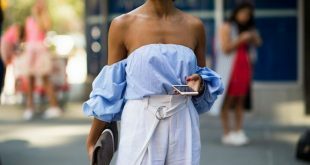 Did you like the frilly design above but you’re actually so into ruffles that you want even more than that? 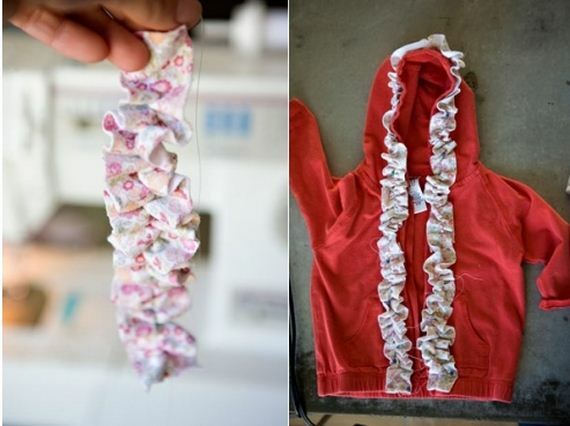 Then try building adorable pattern ruffles beyond the hood, trailing them right down the front of the sweater instead! Pick material that has a complementary colour scheme to the hoodie you’re altering and then follow the steps outlined on Under the Sycamore. Can you tell we really like ruffles? This design might be a little bit too colourful for some adults, but it sure would look adorable on your kids! Heck, we’d probably wear it ourselves too, if we’re being honest. 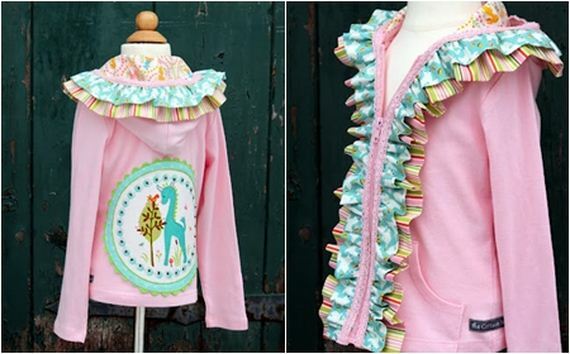 Check out how Riley Blake Designs combined fabric applique and layered ruffling techniques to alter a plain goodie into nothing but pure girly fun. Did you like the studded sleeves idea but what you’re picturing in your mind involves a more unique placement design than just a scattered sleeve? 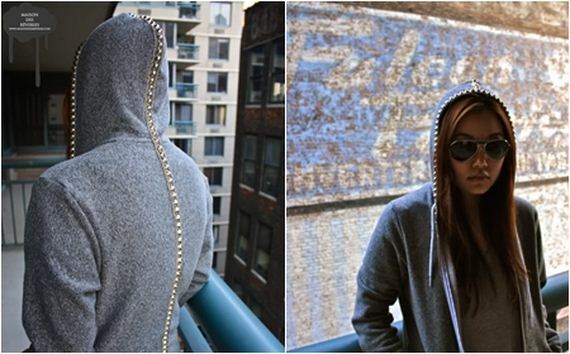 Then check out this awesome studded hoodie from Maison des Reveries that resembles vertebrae all up your back and along the top of your hood! There’s nothing wrong with looking like a punk dinosaur, if you ask us. Speaking of dinosaurs, how cute would it be to turn your kids into actual little dinosaurs for the day? 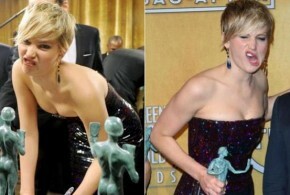 We see nothing wrong with altering their clothing to make getting dressed in the morning a little bit more fun. The closer their pre-school time routine is to their fun dress up time, the quicker they’ll get ready when you wake them up! 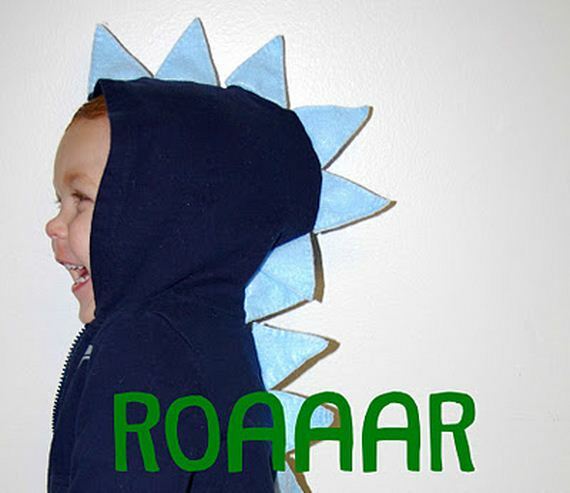 Check out how Whatever Dee Dee Wants added stegosaurus spikes to this little guy’s hooded sweatshirt. Perhaps you’re a little bit more into textures than colours and patterns? Then there are still plenty of cool, unique designs out there for you! One of our favourites, which we’ve actually tried a number of times, is this woven design from Pretty Ditty. It’s a little more hands on and takes some careful measurement, but the cool basket weave effect across the back is definitely worth it in the end. Have you got at least one oversized, totally baggy hoodie stashed in your closet somewhere? These are great to have around for days when you’re feeling really lazy and want something warm to curl up in, but we don’t find that there’s much point in keeping more than one around. 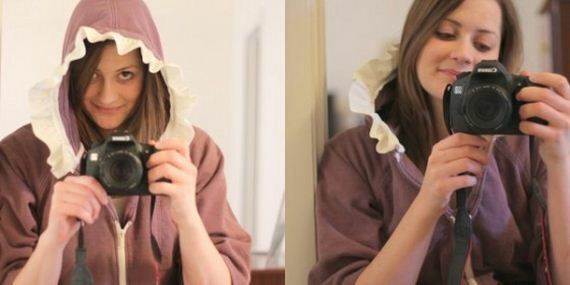 Instead, try transforming your spare baggy hoodie into a cute, stylish crossover sweatshirt that you’re a lot more likely to wear! Check the whole pattern out in more detail on See Kate Sew. Whenever we think of altering clothing, we think of how many friends we’ve had who mastered the art of simple, effective customization when they had a baby and began nursing. These women are basically pros! 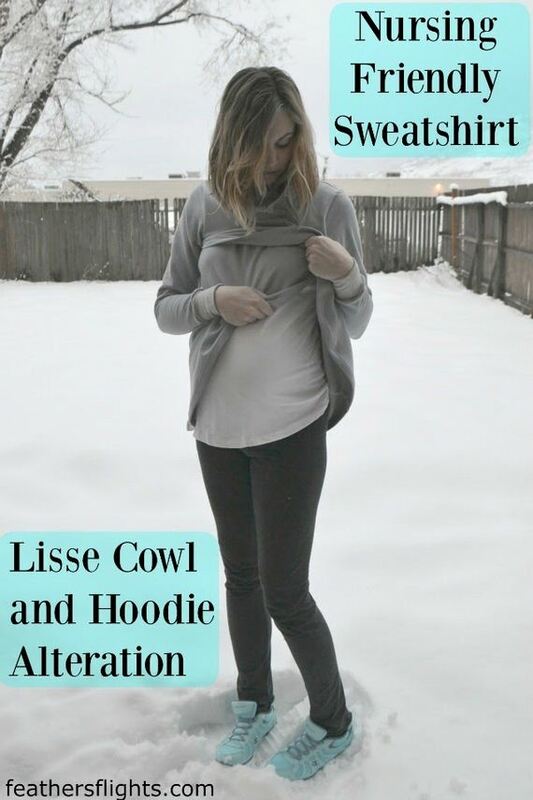 Just in case you’d like to join their ranks and make your favourite hoodies much easier when it comes to nursing accessibility that is still stylish, check out this tutorial on Swoodson Says. Did you love the idea of a hilarious novelty sweatshirt like the dinosaur, but dinos aren’t actually your thing? 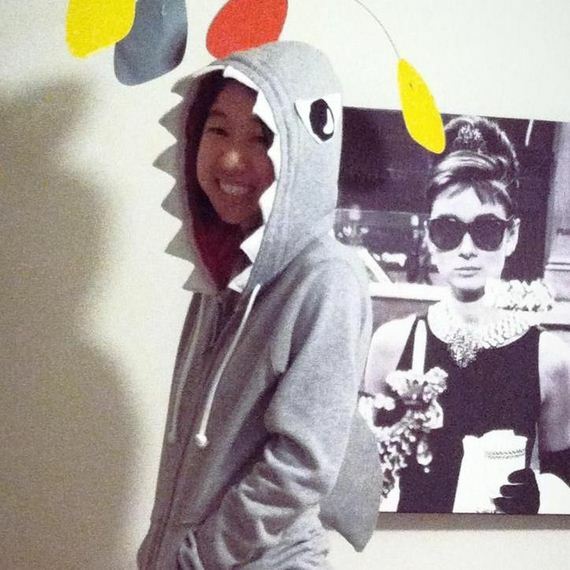 Try transforming yourself (or at least an old sweatshirt) into a ferocious shark instead! We’re getting a total kick of how fun the teeth around the edge of the hood look, and we could see adults and kids alike wearing this design. Check out the full instructions for making it on Amelia’s List. Perhaps you’ve got a sweatshirt that you love the comfort and material of, but that’s ever so slightly too big or awkward fitting? Well, here’s a ridiculously simple alteration idea that will take you almost no time at all and doesn’t require a single stitch of sewing! 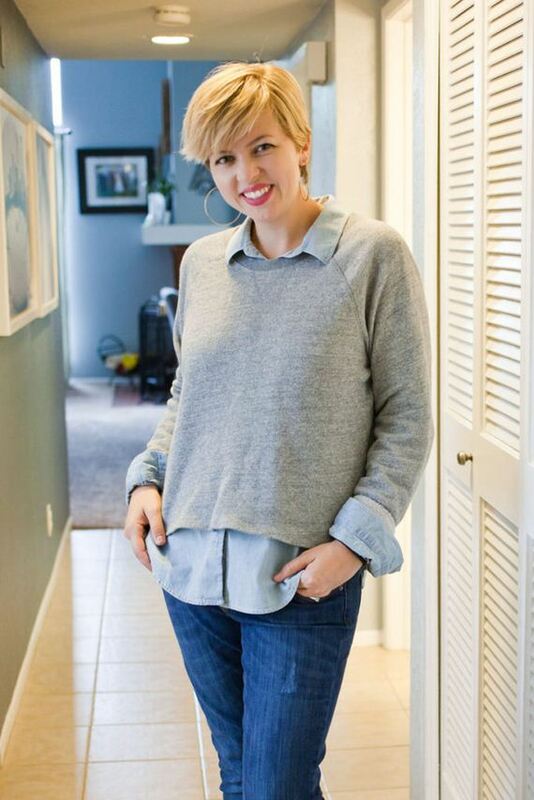 Check out how This Mom’s Gonna Snap created a casual cropped look just by shortening the bottom and rolling the sleeves. Perhaps you’re feeling up for a challenge and would rather completely alter the style and fit of a big old hoodie, rather than just embellishing it a little? 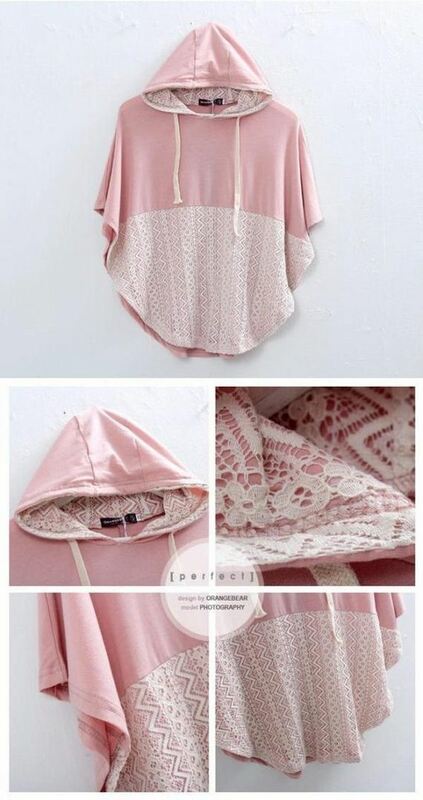 Well, this adorable lace poncho design from Second Street shows you how to do both at once! 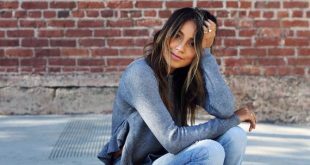 You’ll learn how to open up the sleeves and torso of the sweatshirt and apply a lace overlay that’s completely gorgeous, especially for a technique that’s simpler than you might imagine. Did you adore the woven look we talked about above, but you actually liked it so much that you’d like it to be more visible than just across the back? Then check out how The Forge created a similar effect on the front of this sweatshirt instead! We’re in love with the way they’ve incorporated a coloured strip for some extra style and personality. 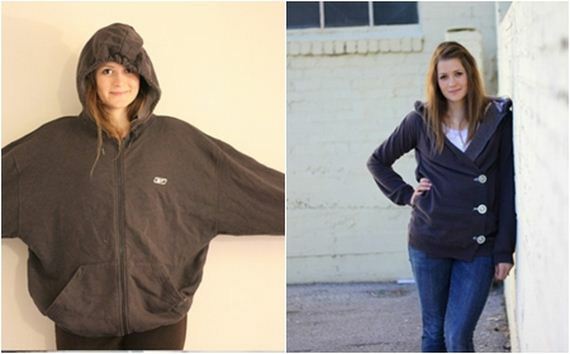 Have you created other awesome fall hoodie and sweater alterations that you don’t see on our list? 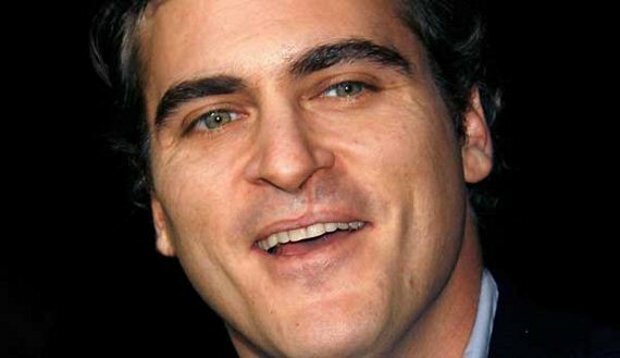 Tell us all about how you did them or link us to pictures of your work in the comments section!